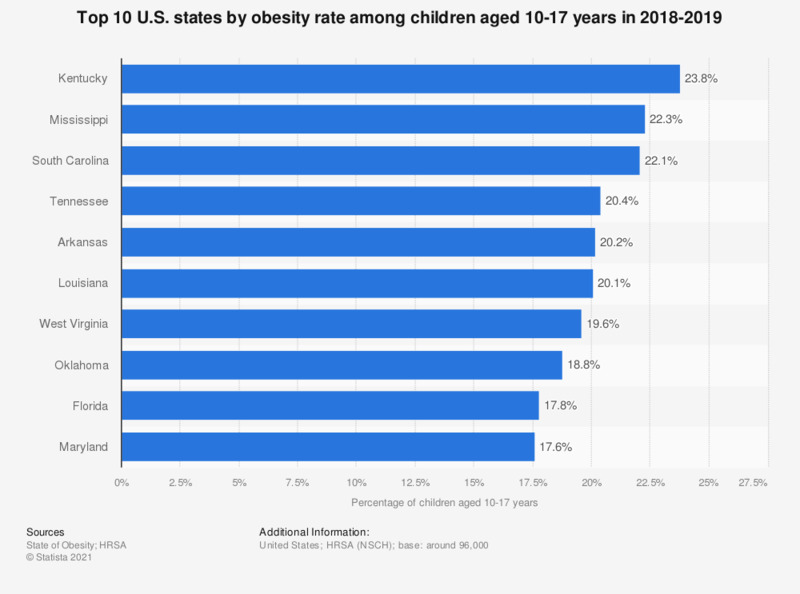 This statistic illustrates the U.S. states with the highest obesity rate among children/adolescents between 10 and 17 years of age in the United States in 2016. In that year, Mississippi topped the ranking with an obesity rate of 26.2 percent. Statistics on "Health in U.S. states"